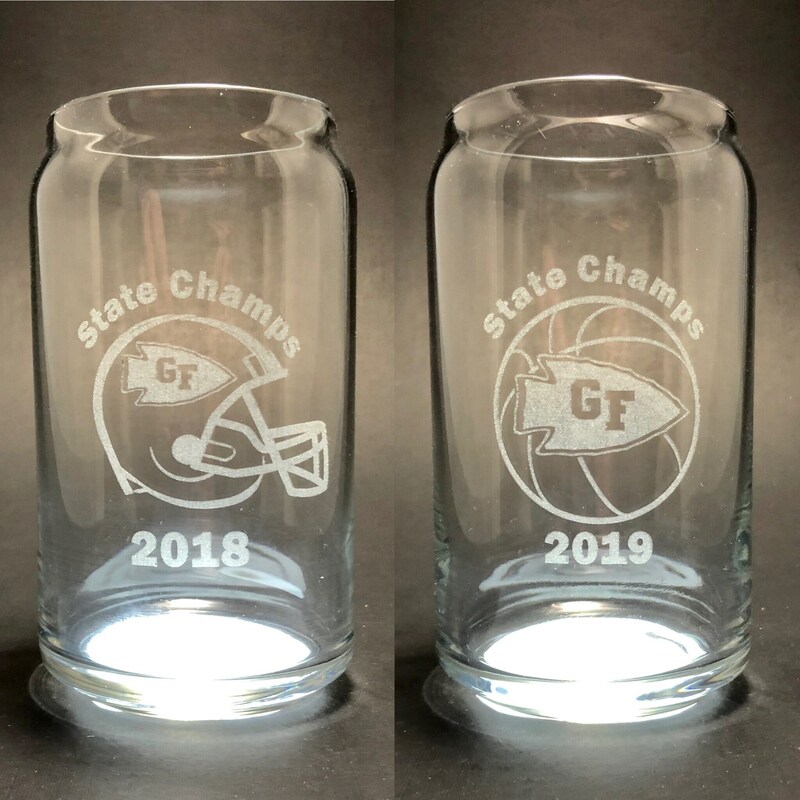 Celebrate both the 2018 Football and the 2019 Basketball Glens Falls High School Class B Championships with this laser etched glass set. Design will last forever and not wear off. Completely dishwasher safe. 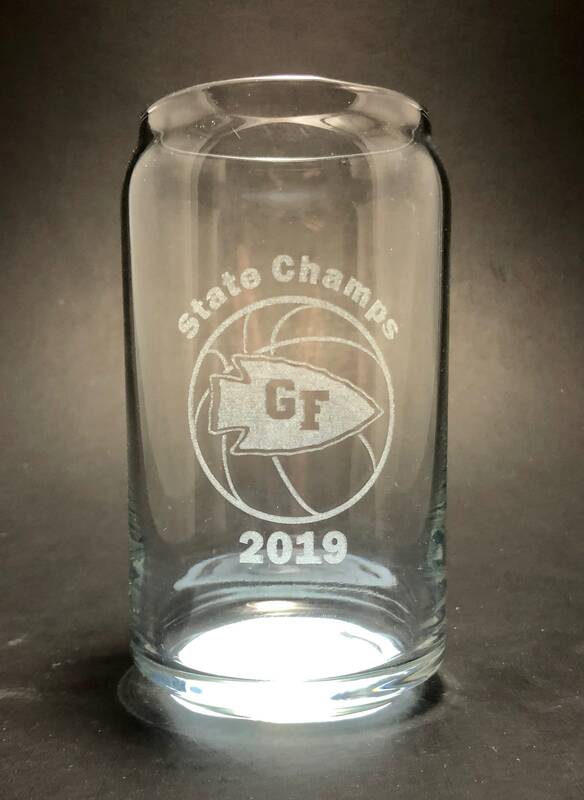 This is a cool and versatile glass that will hold your favorite beverage in style. 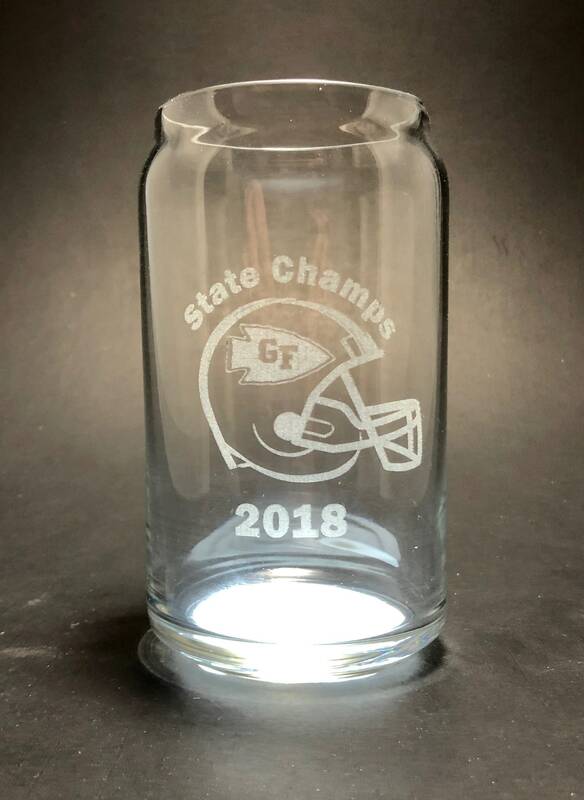 A sturdy glass that holds up to daily use.